When unbelievers look at the Christian lifestyle, they often comment on how dull, boring, and unenjoyable it must be. They see us as living a deprived life, under an archaic set of rules that keep us from having any fun. But in reality, nothing could be further from the truth. There are far more reasons to celebrate life as a believer than as an unbeliever. 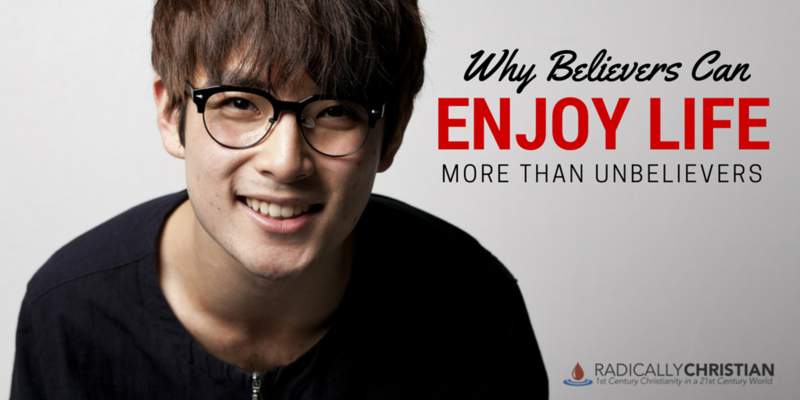 Here are some reasons why believers can enjoy life more than unbelievers. Wouldn’t it be miserable to go through life believing life was some big cosmic accident? The unbeliever thinks the Universe created itself through a “big bang” and that life spontaneously generated. Because they believe mankind is nothing more than evolved pond scum, life must be completely inconsequential. Believers, on the other hand, see life and existence as meaningful. We believe we were created by God for a purpose. 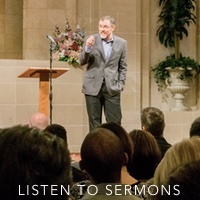 Life – seen through a biblical worldview – is meaningful, noble, and worth celebrating. Believers, unlike unbelievers, have something to live for. We are more than an accident of nature. In the book of Ecclesiastes, Solomon says that if a man just lives life for the things “under the sun” then life is utterly meaningless, a chasing after the wind. It is only when you “fear God and keep His commandments” (Ecclesiastes 12:13-14) that you live a life worth celebrating! The unbeliever instinctively knows there are things that are “good” and things that are “bad” (or even evil). He instinctively doesn’t like it when people torture puppies, but his worldview does not teach him why he should feel this way. In fact, his worldview teaches him he shouldn’t feel this way. His worldview teaches him there is no objective moral difference between torturing a puppy and giving a puppy a treat. The unbeliever lives life in a constant state of confusion, feeling there is “good” and “evil,” but not knowing why he feels this way. Believers know why some things are “good” and some things are “evil.” We know there is a very good God who created this world and that He gives us good things to enjoy. We also understand the destructive nature of sin and how sin has wreaked havoc on God’s good creation. The unbeliever not only has to try to reconcile his sense of right and wrong with his worldview, he also has to deal with his feelings of guilt and shame. He experiences guilt and shame, but he does not know why. He tries to tell himself there is no such thing as sin because there is no such thing as God; but he still feels guilt. Why should he feel guilt, if there is no God? Why, if man is just evolved pond scum, should he care about hurting another man’s feelings? Why should he not shamelessly do whatever he wants? Why does his guilty conscience plague him when he violates a boundary he does not believe in? Believers not only know why we feel guilt, we also understand that God has provided a way for our guilt to be removed. We understand that God sent His Son, that we might be forgiven and have our guilty consciences healed. The apostle Peter says baptism is “an appeal to God for a good conscience” (1 Peter 3:21). By the blood of Jesus, God gives us that good conscience. He forgives us, washes us, sanctifies us, and justifies us (1 Corinthians 6:11). We can walk through life with our heads held high because we wear “the helmet of salvation” (Ephesians 6:17). We don’t have to hide in the bushes with shame and guilt. We don’t have to repress and medicate our guilt with skepticism, alcohol, materialism, or anything else. We can truly celebrate life because of God’s grace and forgiveness. The bottom line is this: I celebrate life because I believe God gave me life, told me why He gave me life, showed me how to live my life, taught me why my sin messed up my life, and sent His son that I might have a brand new life. Now that’s worth celebrating! I was asked by the folks over at The Preacher’s Favorite Passage to write this article for January’s Celebration of Life Month.